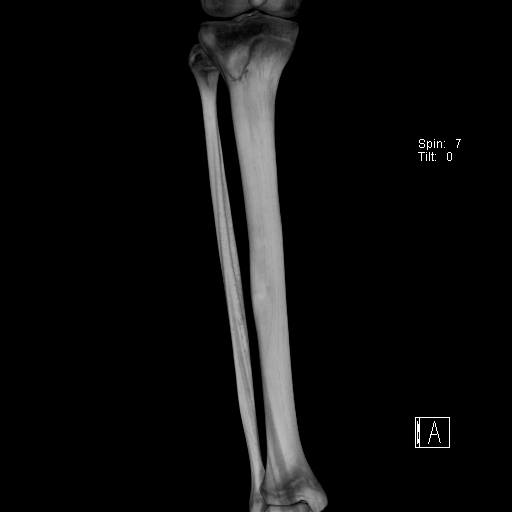 In the pictures of MRI images below, the bone of the tibia shows high signal intensity (white within the black) that shows increased blood flow and swelling within the bone that indicates a stress reaction/fracture. 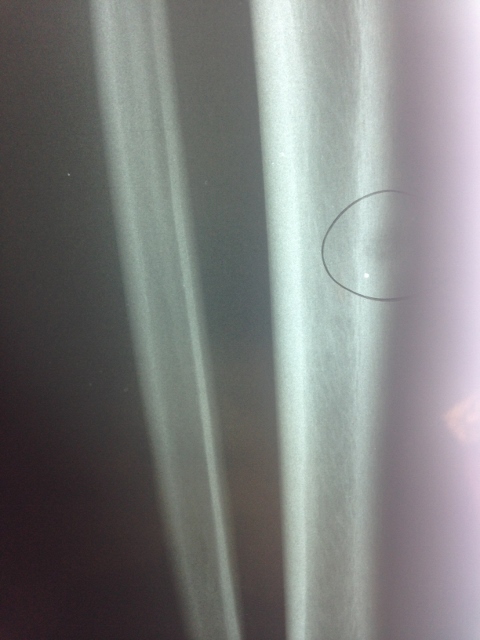 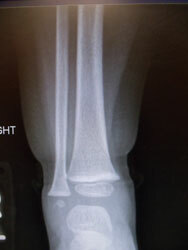 Subtle distal tibia spiral oblique fracture in young peds patient below. 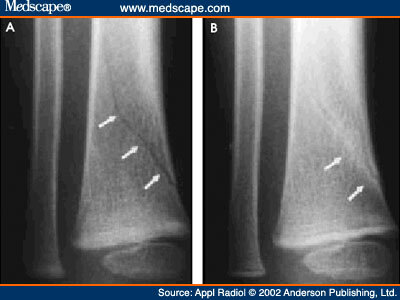 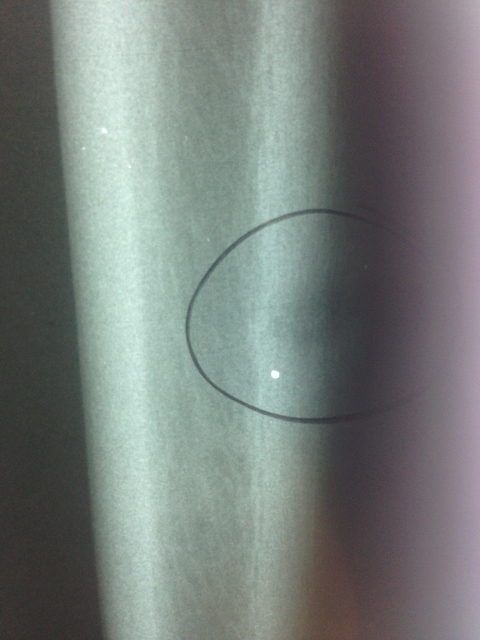 Below is a stress fracture in a pediatric amateur athlete with fracture seen on X-ray, this is also referred to as "the dreaded black line". 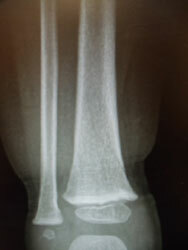 Same fracture in CT scan seen 8 weeks later with bridging across the fracture and fracture callus.